The Portwest S778 Bizflame Jacket, optimum protection is offered from this antistatic jacket. 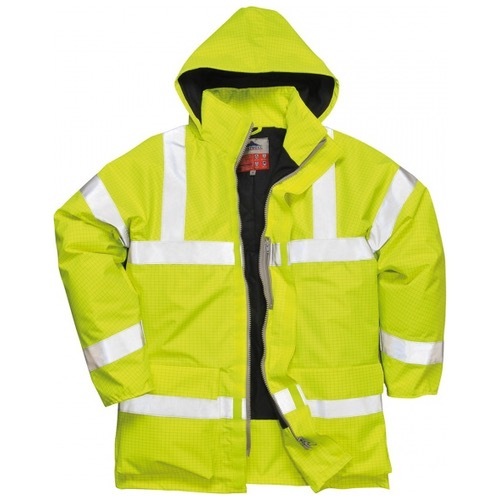 Flame resistance coupled with superb breathable and water resistant properties, means this garment meets the necessary stringent European standards. 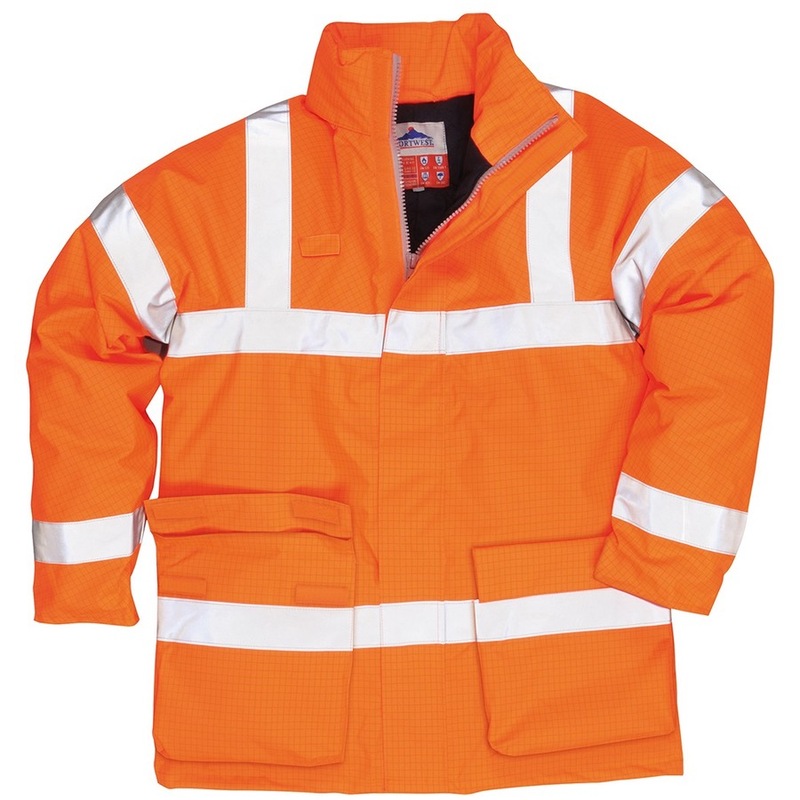 Bizflame Rain Fabric combines a 98% Polyester and 2% anti-static carbon fibre 250g, this breathable fabric offers maximum protection to a range of International Standards.